We are still on the cool side of this frontal boundary, but it is trying to move back north. The result will bring some light scattered showers, but most of the day will be dry. While there will be some warmer air tomorrow morning, we will cool back down this weekend. Then we set the stage for a new winter weather event. I do have FITF for more snow, but the way this will play out is still uncertain. 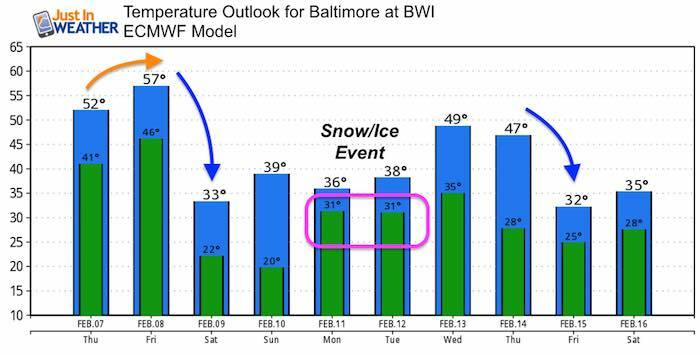 What I do believe is that we need to expect some impact from snow Sunday night into Monday and then more snow and ice on Tuesday. This shows the largest snow impact by sunrise Tuesday. Then rain Tuesday afternoon. This model shows the storm developing Tuesday afternoon and night. That front really stands out…. How Much? It is too early for anyone to suggest how much we could get. Especially since the timing, track, and transition to ice and snow are not certain. I would still keep your plans in mind to possibly be affected Sunday night into Tuesday night. This model shows light snow Sunday night and Monday. Then the main storm Tuesday morning turning to rain Tuesday afternoon and Wednesday. This model shows the snow and ice just developing on Tuesday, then turn to rain by Wednesday morning. Friday’s high temperature should be before noon. Even with some mild surges, there is plenty of cold air waiting to return. 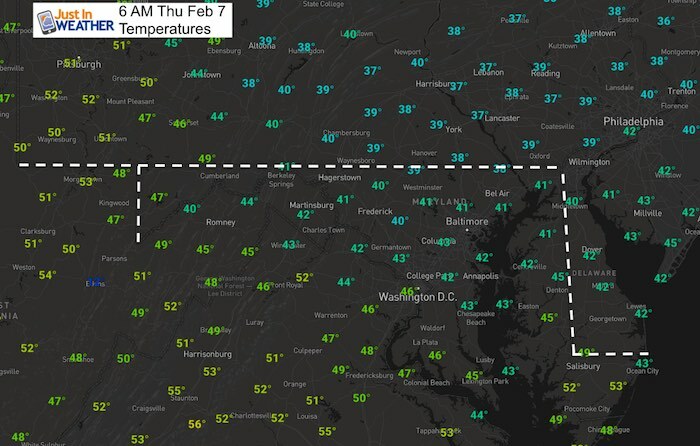 Valentine’s Day looks to start another cold spell.